The money is in the NFL, especially when it comes to head coaches, as eight of the top ten highest paid head coaches in North American pro sports are in the sport of football, with Sean Payton, Bill Belichick, Andy Reid and even new guy Chip Kelly rising high above the others when it comes to their income. The only other sport represented is basketball, with two NBA coaches – Gregg Popovich and Doc Rivers, in the top 10. It’s worth mentioning that Phil Jackson, who wanted $10 million a season to become the head coach of the Los Angeles Lakers earlier in the season, would have ranked number one on this list. 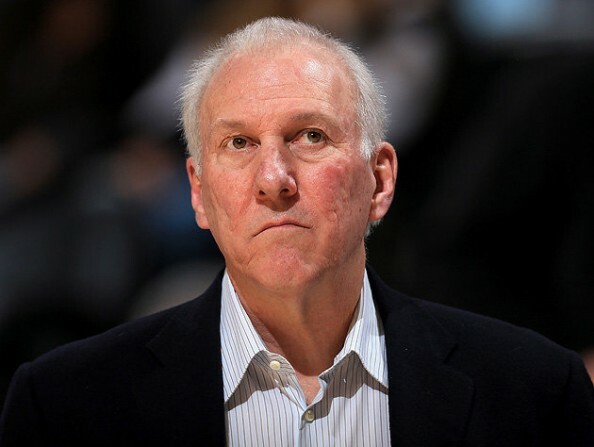 The second highest paid coach in the NBA, Gregg Popovich is a four-time NBA champions with the San Antonio Spurs (1999, 2003, 2005, 2007), winning 68.1% of his regular season games with the team. He led them to their 16th consecutive playoff appearance this season, currently leading 2-0 in the conference finals. Sometimes you don’t need experience to earn big money. The Eagles needed to make a special offer to draw Kelly away from Eugene, where he turned the Oregon Ducks’ football program into a national powerhouse, winning two BCS games in four years and putting up a 46-7 record. Coughlin, 66, has 17 years of NFL coaching behind him. He was with the Jacksonville Jaguars from 1995 till 2002, and has been with the New York Giants since 2004, winning two Super Bowls (XLII, XLVI), both against the New England Patriots. He has won 57.6% of his games as head coach of the Giants. 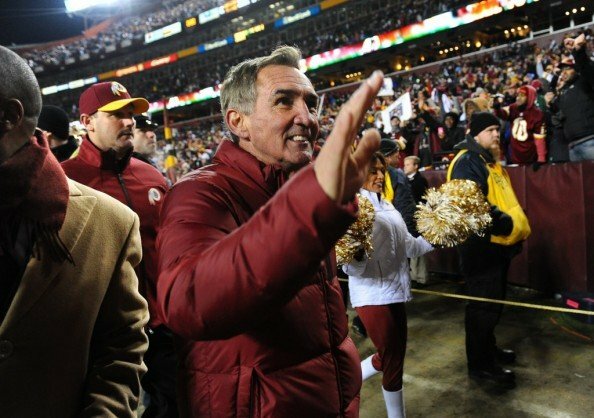 After three seasons with the Washington Redskins, Mike Shanahan finally reached the playoffs and got his first winning record with the team: 10-6, mostly thanks to the success of Robert Griffin III. He previously worked 14 seasons with the Denver Broncos, winning two Super Bowls and 138 regular seasons games. Despite losing Rajon Rondo midway through the season and other role players along the way, Rivers managed to lead the Boston Celtics to their sixth consecutive playoff appearance (all during the Kevin Garnett era). Rivers, an NBA champion in 2008 with Boston, is going to oversee a rough period for the C’s as their biggest stars are growing too old and an immediate fix doesn’t seem to be on the horizon. Fisher was the head coach of the Tennessee Titans (previously the Houston Oilers) for 17 seasons (1994-2010), leading them to a Super Bowl appearance and five more playoff berths. His first season with the Rams ended with a 7-8-1 record. He’s signed with the Rams for 4 more seasons. 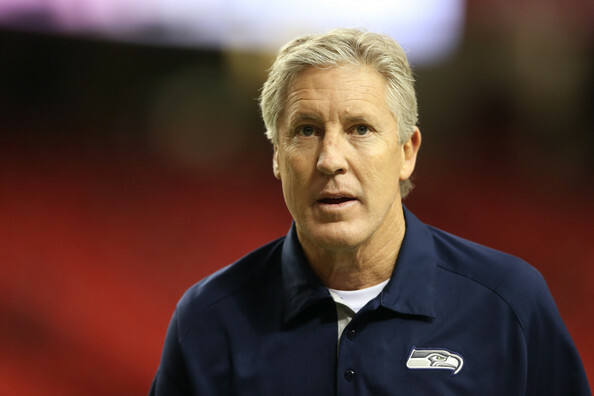 After nine mostly successful seasons with USC, Pete Carroll returned to the NFL in 2010, taking on the Seattle Seahawks job. After two 7-9 seasons, his work has started showing in 2012, winning 11 games and reaching the NFC divisional game, losing to the Atlanta Falcons. Andy Reid will try and turnaround the fortunes of the last couple of years, going 12-20 with the Philadelphia Eagles after years of success, which included reaching the Super Bowl in 2005 and making the postseason 8 more times. When it comes to accomplishments, no one deserves the money as much as Belichick, who has won three Super Bowls with the Patriots (the last of which in 2005) and has won at least 10 games in the regular season for 10 consecutive years. His 12-4 Pats ended up losing in the AFC title game last season. Sean Payton got a year off in 2012 due to a suspension brought upon him by the dictator of the NFL. 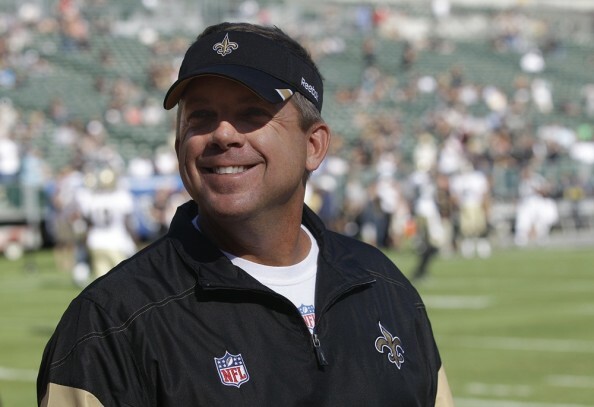 Since becoming the head coach of the Saints in 2006, New Orleans have become one of the more consistently successful teams in the NFC, going 62-34 until last season, including winning the Super Bowl in 2010 and making the postseason three more times.